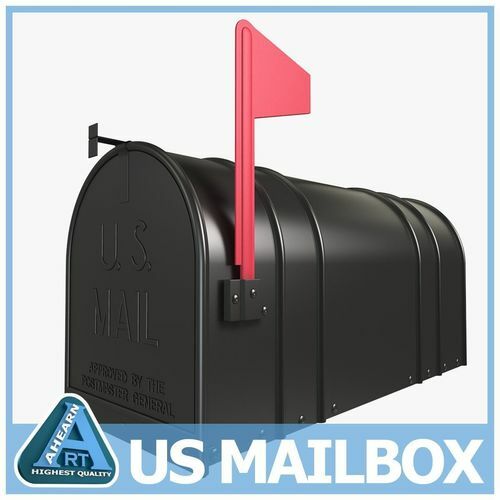 Highly detailed model of a mailbox. Created in Maya and rendered with mental ray. Maya scene file includes lighting setup and is ready to render. All file formats contain identical geometry and layout as seen above with clean and accurate polygonal construction and can be smoothed or sub divided. Model is to accurate scale and centered. All details including writing have been fully modeled out. No textures or bump maps have been used, meaning each file format is ready to render in it's appropriate software. Each file format has been checked with the appropriate software to ensure easy file management of clean meshes with no undesirable topology issues such as n-gons or reversed faces. Close attention to detail makes this model ideal for close ups and print work.